On Tuesday, July 31, and Wednesday, August 1, the Exeter FFA Executive Committee gathered for their annual Officer Training/Retreat. This was the final meeting in preparation for the beginning of the school year. 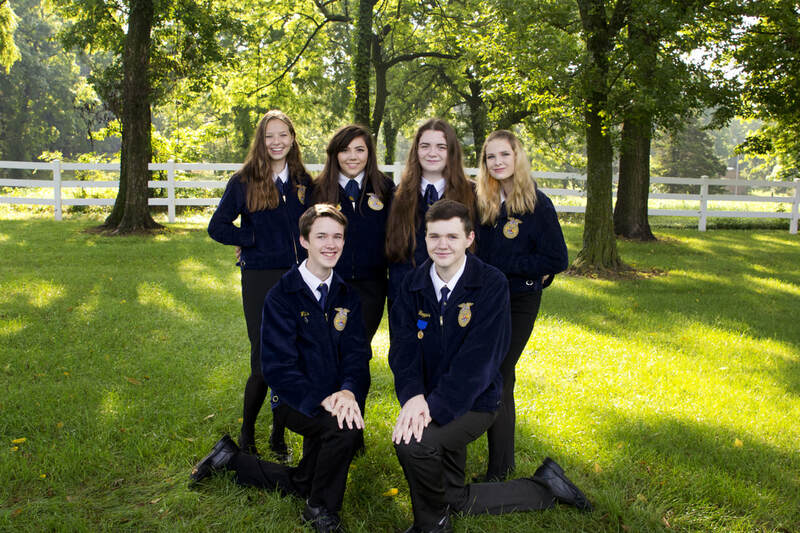 Officers planned events for the year, set the calendar dates and learned to be effective leaders for the FFA Chapter. Pictured above from left to right in the back row are: S. Riley Still, reporter; Vanessa Ward, treasurer; Mykah Estes, president; and Savannah Jones, growing leaders committee chair. Front row: Lane Willis, secretary; and Wyatt Hoppes, vice president. Submitted by S. Riley Still.